Slow establishment, diseases, insect pests and excessive trafﬁc can signiﬁcantly weaken and damage turf grass. With Barenbrug’s new HGT® mixes of Kentucky bluegrass featuring Barvette HGT Kentucky bluegrass you’ll ﬁnd professional turf solutions against these common bluegrass challenges. HGT stands for Healthy Grass Technology and features proven durable, disease resistant Kentucky bluegrasses, including Barvette HGT. Developed in harsh climatic conditions, speciﬁcally to establish quickly, withstand diseases, insect pests and trafﬁc, extensive testing in NTEP under various climates and conditions has proven Barvette HGT a winner. Barvette HGT ranked #1 or in the top statistical group in 16 different bluegrass traits in the recently completed 2005-10 Kentucky bluegrass NTEP trials. Developed from extremely trafﬁc tolerant parent stock, Barvette HGT was subjected to intense multiple trafﬁc simulation studies for years prior to release. These studies proved not only trafﬁc tolerance, but also the unique ability for strong, rapid recovery from trafﬁc damage. An additional three years of studies in the Mid-Atlantic region proved outstanding disease resistance, especially to summer patch and stem rust. With more than a decade of turfgrass breeding and three years of professional use, Barvette HGT’s popularity and use grows annually. With exceptionally fast establishment, durability and recovery properties, Barenbrug’s Turf Blue HGT mixture has become a ‘standard’ for Kentucky bluegrass sports turf, bluegrass sod production and golf fairways and tees. Summer patch is a serious turf disease that causes significant damage to most Kentucky bluegrass varieties. Tested intensively at many locations across the country and in university trials, Barvette HGT has shown excellent resistance to summer patch. At all three test sites for the National Turfgrass Evaluation Program (NTEP), Barvette HGT ranked number one and actually took over some heavily damaged neighboring bluegrass plots. Spring green-up is an important trait sought after when developing new Kentucky bluegrasses. While most bluegrasses are very slow to break winter dormancy, Barvette HGT exhibits very early spring green-up. In the recently completed 2005 NTEP study, Barvette HGT ﬁnished in the top statistical group. This allows our Turf Blue HGT blend to come back early and strong when spring play is needed and ﬁeld regrowth is required. The Turf Blue HGT we seeded in late April germinated and filled in tremendously compared to the other bluegrasses used. White grubs and billbugs can commonly devastate Kentucky bluegrass turf. Turf Blue HGT varieties, led by Barvette HGT’s #1 ranked performance against white grubs in the 2006-10 NTEP trial, provide excellent tolerance to turfgrass insect pests. 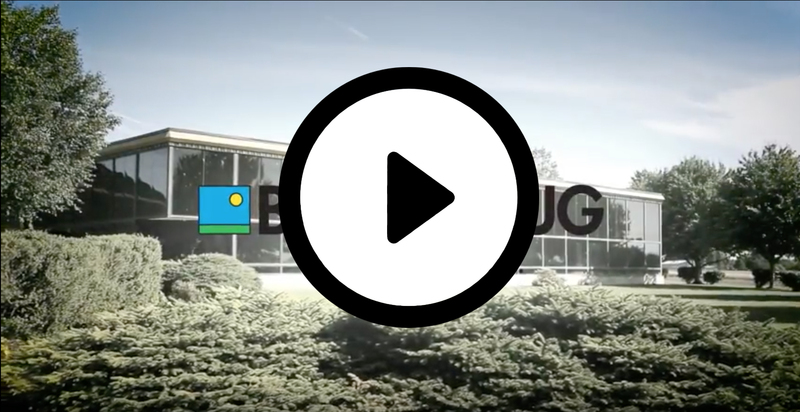 With more communities and facilities reducing or eliminating the use of turfgrass insect controls, Barenbrug’s Turf Blue HGT blend provides safe, natural, “green” protection. Quick germination and rapid establishment are terms rarely associated with Kentucky bluegrass. Barvette HGT, however, didn’t get the memo. With germination typically fewer than 10 days and aggressive, rapid establishment, Barvette HGT is a ‘game changer.’ Fields can now be played on faster, fairways can now be successfully renovated and tees more quickly brought back in use. Weeds are also successfully competed against with Turf Blue HGT’s aggressive growth habit. For bluegrass sod production, ﬁelds establish more quickly, ﬁeld yields increase and pallet quality shines.